The origin of Tomar Castle is closely tied to the beginning of the Portuguese kingdom and to the presence of Knights Templar in the Iberian Peninsula - at the time mostly occupied by Islamic kingdoms. This was the time of the Crusades and the peninsula was recognized as a Crusade land just like Palestine. In this context, the Knights Templar take an active role in the formation of new Christian kingdoms in the Iberian Peninsula. The Knights Templar came to Portugal in 1128. In 1159, King Afonso Henriques awarded them a vast territory situated halfway between Coimbra and Santarém, known as Termo de Ceras, as a reward for their role in the conquests of Santarém and Lisbon (1147). 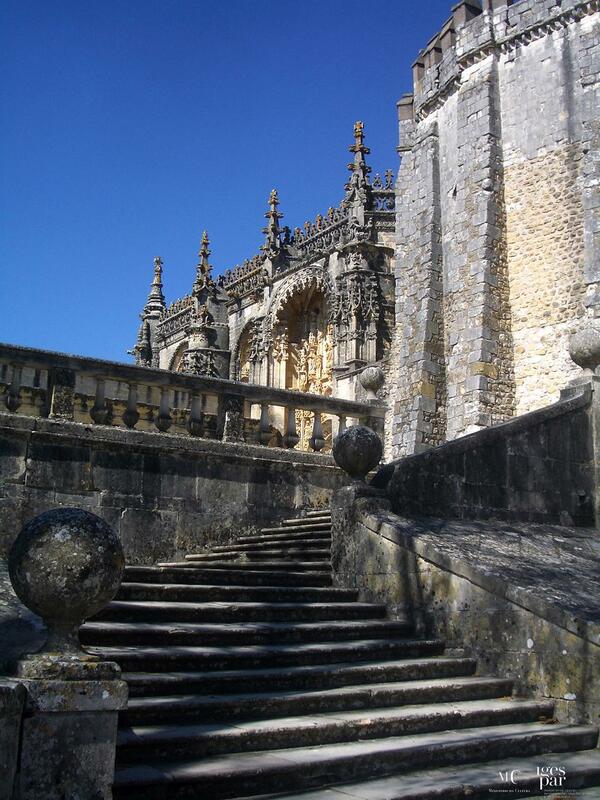 The Knights Templar founded the Tomar Castle and Village in this region. As a result of the persecution against the Knights Templar by Philip IV of France, the Order was extinct in 1312 by Pope Clement V.
Portuguese King Dinis, however, wishes to keep the Knights Templar and their assets under a new cavalry order, circumscribed to his Kingdom. The Militia of Our Lord Jesus Christ is established in 1319 after a few years of negotiation with the Holy See. This new cavalry order followed the same rules and spirit of the extinct Templar Order.